Suitable for all skin types, we manufacture and supply Facial Steamer with the premium quality raw materials. Our Facial Steamers are used for various facial treatments such as, blackhead extractions, double chin treatment, eye puffiness, skin inspection, facial massage, etc. We supply three different types of Facial Streamers - Facial Steam Sauna, Steam Inhaler, Steam Vaporiser. All our Facial Steamers are clinically tested and available at industry leading prices. We care for our clients and they can only realize this after using our durable and reliable Facial Steamers. As one of the renowned Manufacturers and Suppliers of Steam Inhaler, we offer you inhalers which excellently perform with their latest configurations. 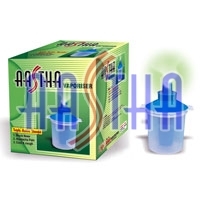 Steam Inhaler is widely demanded in clinics, hospitals, beauty parlors. We also supply a customized range of Steam Inhalers as per clients specifications at reasonable prices. We manufacture and supply unmatched quality Steam Vaporiser which is innovatively designed, cost-effective and clinically tested. We supply Steam Vaporiser made up of different materials. Steam Vaporiser is durable and excellently performs its function. We have priced our Steam Vaporiser very competitively against the ordinary market. 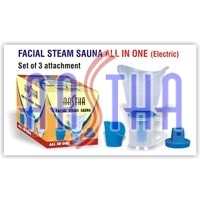 We manufacture and supply unmatched quality Facial Steam Sauna All In One (Electric) Set of 3 Attachemet which is innovatively designed, cost-effective and clinically tested. 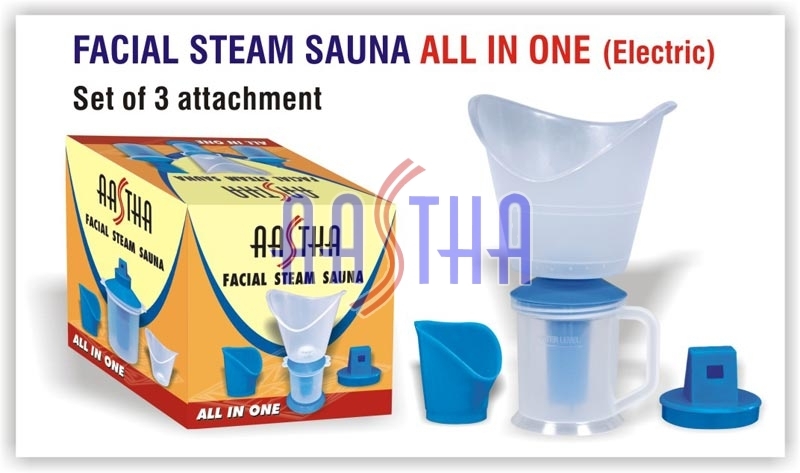 We supply Facial Steam Sauna made up of different materials. 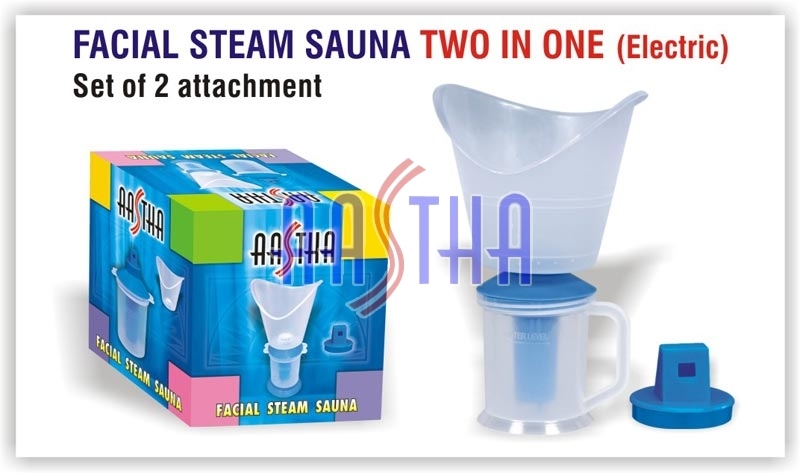 Facial Steam Sauna is durable and excellently performs its function. We have priced our Facial Steam Sauna very competitively against the ordinary market. 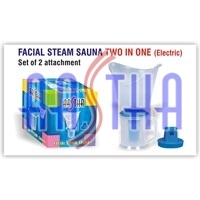 As one of the renowned Manufacturers and Suppliers of Facial Steam Sauna Two In One (Electric) Set of 2 Attachement, we offer you Facial Steam Sauna which excellently perform with their latest configurations. 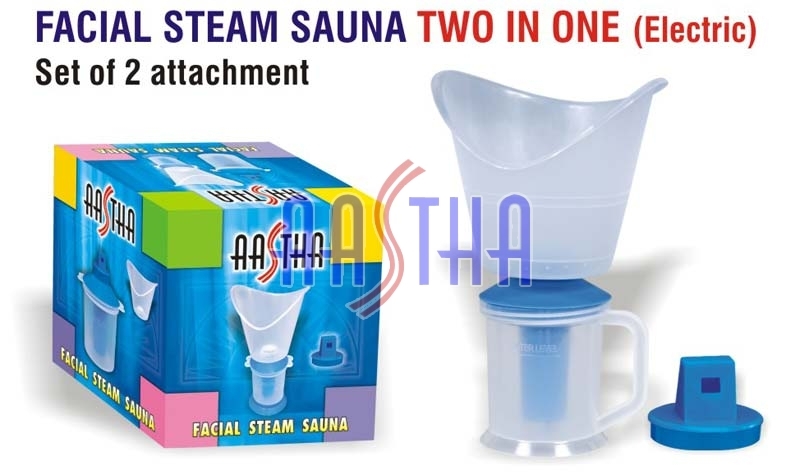 Facial Steam Sauna is widely demanded in clinics, hospitals, beauty parlors. We also supply a customized range of Facial Steam Sauna as per clients specifications at reasonable prices.